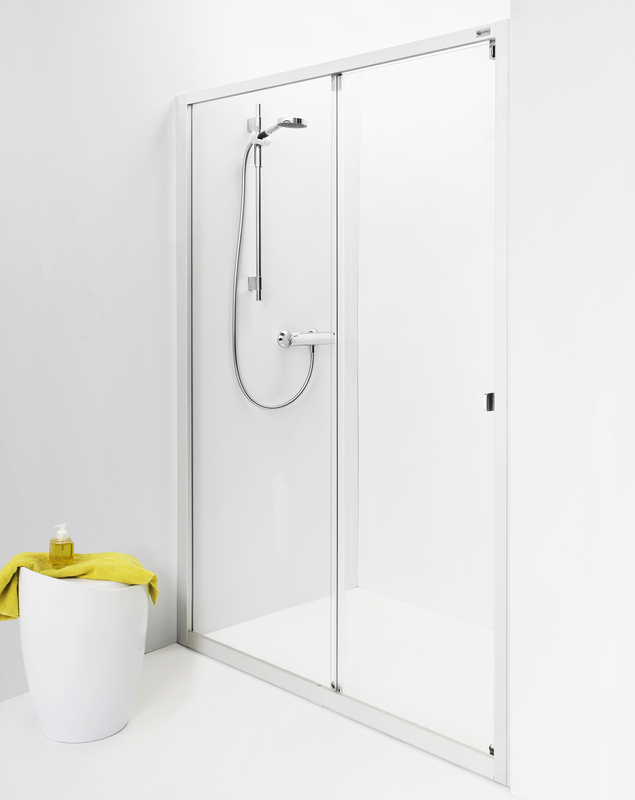 IDO Showerama shower door model 8-1, equipped with sliding doors, is easy to install due to few parts the possibility to adjust to the floor and walls. Wall profiles have space for piping. One door is fixed, other slides on the profile. Door order can be altered. Well sized doorway. Adjustability +/- 20 mm.